POOL4TOOL is an all-in-one supply collaboration platform, which combines product development processes with strategic purchasing, indirect procurement, supply chain management and quality management using a workflow-based solution. At POOL4TOOL, the emphasis is on the efficiency of integrated processes. Therefore, they have never developed just IT tools but always developed this as a part of a larger whole, which differentiates POOL4TOOL from other providers. They chose this differentiated path many years ago and cultivated the processes of modern, commodity-specific shopping with that of operational procurement – in their single supply collaboration solution. As a web-based SaaS solution for Product Lifecycle Costing (PLC), POOL4TOOL supports the manufacturing process across multiple departments and company boundaries and involves purchasing early on. The uniform calculation basis helps to identify cost drives and speeds up the development process significantly. In addition to the selection of suppliers and supplier development, modern category strategy consists of many additional criteria, such as bundling strategies, logistical involvement, and evaluation criteria for the supplier ratings. POOL4TOOL ensures the global implementation of these strategies and connects and involves the local buyer and project buyers with the Engineering, Logistics and Quality Management departments. If demand processing goes beyond simple online catalogs, new concepts are required. Many of POOL4TOOL’s customers are already using the successful methodology of directly purchasing indirect materials and services. With POOL4TOOL Streamlined, they have an easy way to procure all types of demands with a single shopping cart, a single RFQ, and a single workflow system that covers everything from the PREQ to the invoice. A streamlined supply chain with optimized logistics processes, such as advanced shipping notification, including label printing or VMI is only possible with the electronic exchange of data. Most of POOL4TOOL’s customers are optimizing their logistics processes using their solutions. To ensure that transactions with high volumes of data and different formats don’t hinder business processes, POOL4TOOL integrates suppliers, logistics service provider and clients using WebEDI or EDI. The goal of your optimized supply chain should be to deliver the products your customers want, when they want them – and to accomplish that while spending as little money as possible. 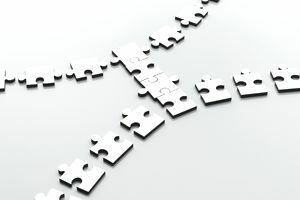 While there are many tools in the marketplace that will help you manage logistics, planning and bills of materials – a true process integration tool can help understand your customers’ needs, your suppliers’ capabilities and go a long way toward reducing your supply chain’s hidden costs. POOL4TOOL offers an end-to-end supply collaborative platform that allows you to integrate your supply chain functions and help to achieve supply chain optimization.